Earlier this month United were beaten by Swindon Town in the semi-finals of the play-offs. The Robins also failed to clinch a place in the Championship as they were thrashed 4-0 by Preston North End on Sunday in the Wembley final. Sheffield United finished fifth in League One but their form has been better in the cups during Clough's time in charge at Bramall Lane. The search for the club's new first-team manager will now start. They reached the semi-finals of last season's FA Cup, before losing 5-3 to Hull City, and were beaten by Tottenham in the two-legged semi-final of this term's Capital One Cup. 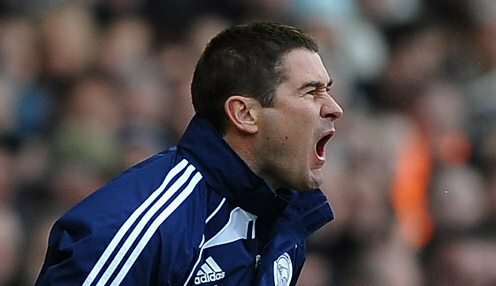 Clough had managerial spells at Burton Albion and Derby County before replacing David Weir as United boss in October 2013. A statement from Sheffield United read: "The search for the club's new first-team manager will now start and it is hoped that this will result in identifying and recruiting the right candidate within a relatively short period of time. Sheffield United are 1/1 to finish top of League One next season, while Swindon can be backed at 1/1, Gillingham at 1/1 and Burton Albion at 1/1.